What Type of Child is Suitable for Remedial Education at Japari? Many children don’t achieve their best results in traditional school environments. These are the children we at Japari want to see excelling. But which children can consider Japari as an option? Japari is a primary school. We provide help for the children from grade R to grade 7. This is in line with the South African Schools Act of 1996. It states that a child who is beginning grade 1 must be turning six by the 30th of June in their admission year. We aim to teach children the appropriate grade-level of work according to their ages. We do this in a way that addresses their particular needs. As we have seen, the sooner a child who needs special attention receives it, the better it is for that child. If an assessment shows that a child needs special help they should begin in Grade R. Starting as soon as possible will be of immense benefit to that learner in the years to come. Cognition is how well a person understands the world and acts in it. There are several factors that determine a person’s cognitive skills. Perception is how well someone recognises and interprets the information supplied by their senses. Students at Japari will need to be able to see, hear and touch the world around them. They must be able to recognise shapes and sounds. Motor skills are the ability to control our bodies. They also gauge how well we can manipulate objects in our immediate environment. Gross and fine motor skills will be developed in Japari learners over time. We have two types of memory. The first is short-term or working memory and the second is long-term memory. Short-term memory is limited storage. Long-term memory is unlimited. To function in our world people need to be able to retain and use information in real time. This is a function of working memory. Japari students might take longer than traditional school learners to grasp concepts and information. If a learner cannot recall anything at all from the day before they will need more specialised assistance. Attention means being able to sustain concentration. Many students will have attention deficits. However, they will still need to fall within what is considered the normal range for taking notice of objects, thoughts, and actions. One of our aims is to develop our students’ ability to manage the competing demands of daily stimuli in our environment. Visual and spatial processing means that we are able to process incoming visual stimuli. Learners will need to have some grasp of the spatial relationship between objects. We will also develop the ability to visualise scenarios and images. Our language skills allow us to generate verbal output and to understand sounds as words. Japari learners will need to be able to communicate verbally. Part of schooling will be developing those verbal communication skills. Our executive functions cover a wide range of abilities. These are the abilities to enable goal-focused behaviour. 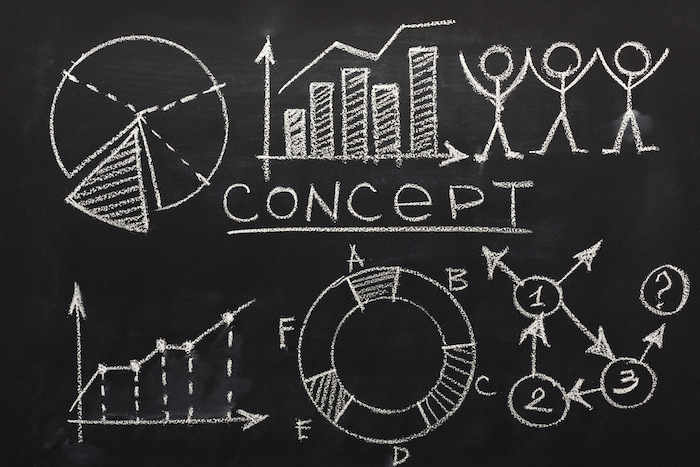 Students must be able to develop the ability to plan for and execute set goals. Decision-making, flexibility, and problem solving are some examples of executive functions. Anticipation is another. It is being able to make predictions based on pattern recognition. We also need some insight into the inner world of others. This is recognising that other people have their own thoughts, feelings aspirations, and fears. Sequencing is also important. This means being able to prioritise smaller tasks in the correct order to accomplish larger goals. We also need to be able to regulate our emotions. Part of this is being able to withstand distraction and internal urges. Japari learners will be taught to develop these skills. Many of these skills will continue to develop over a lifetime. If however there is a major impairment in any of these areas, we can recommend where students will get the professional assistance they need. Contact us if you are uncertain in any of these areas – we have the tools to perform an accurate evaluation of your child’s capabilities. There is a differentiation between a learning disability and having low ability. A learning disability is a neurobiological disorder. It causes difficulty in processing and storing information. There are also impediments to receiving and producing information. This would be despite average ability and intelligence and is a life-long challenge. Low ability means that a person has low intelligence. They would be developmentally disabled. These are the people falling under the need for special education. They fall under the education area of Developmental Cognitive Disability. Japari caters for learners with learning disabilities and not those with developmental cognitive disabilities. Children will be assessed based on psycho-educational and other relevant reports. This will be done to determine that they will be receiving the schooling and support they need. If the previous assessments are more than 2 years old, a new one will need to be done. This is to confirm that a child’s current challenges will be addressed. The aim of Japari is to prepare students for high school and beyond. We have a proven record of assisting children with learning challenges. This is beyond general. We want to see affirmed and equipped children realising their potential. A parent’s impact on children is incalculable. More than any other voice in a child’s life, a parent’s loving voice carries the most weight. This is for any child. For children with learning challenges, these points are even more important. For a child’s development, studies have shown the importance of the parent’s involvement. Parents play a very important role in a child’s physical, social, emotional and cognitive development. Teaching a child healthy and active lifestyle is best done with a positive role model. Taking an interest in physical activity with your child will have a great impact on a child developing healthy habits. This will be more effective than dozens of “experts” trying to achieve the same result. Encouraging interaction from parents with their children is very beneficial for the kids. They play a major part in developing healthy social and emotional skills. Kids should learn about their own emotions and experience love and positive relationships from their parents. This is also the place for kids to learn about feeling their emotions but handling them appropriately. Studies have also shown how much parents can help children academically. Taking an interest in their schoolwork can do this. Reading with them while younger, asking about their day, and other positive interactions count towards their cognitive development. “Why” and other open-ended questions are very helpful. Thinking through problems or discussing plot points in a movie all help to develop critical thinking. Also encouraging kids to think of new and different ideas help over the long term. 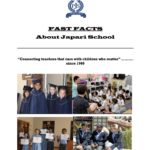 At Japari we want to see parents actively involved in their children’s learning. They need to be supporting the progress made in order to maximise their children’s experience. If your child falls within these parameters, we would love to assist. Japari has no application deadline since we offer rolling admission. Whenever you are ready, please contact us for more information or to set up an appointment. Parents and their children are welcome to visit our premises. They can see what is on offer and meet some of the staff. We look forward to joining you on this journey to your children reach their full potential.